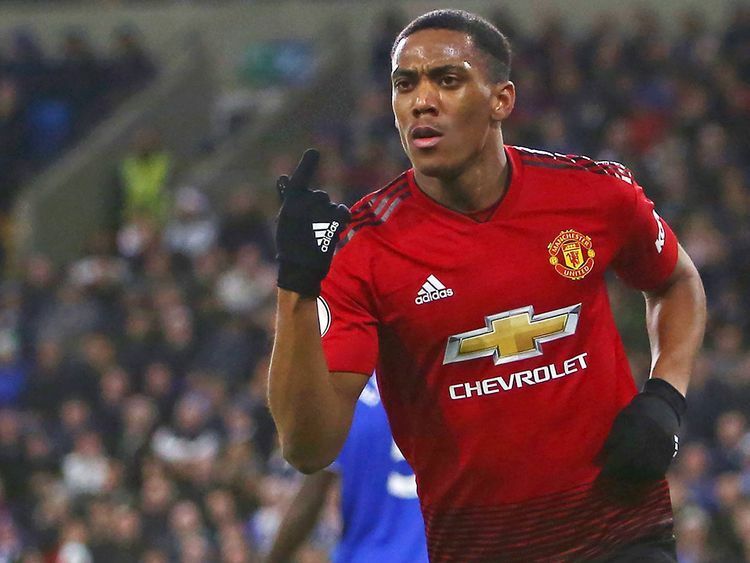 London: Anthony Martial has signed a new contract that will keep him at Manchester United until June 2024 just months after he seemed set to leave, the Premier League club announced on Thursday. “I am loving my time at this club,” said Martial, whose new deal includes the option to extend for a further year. “From the day I joined I have been made to feel part of the United family and I have been incredibly humbled and overwhelmed by the warmth and love of our fans, who continue to amaze me with their support. While Martial commits his future to the club, Marouane Fellaini is reportedly set to end his five-and-a-half year stay at Old Trafford, with United understood to have reached an agreement in principle regarding his sale to Chinese club Shandong. It is understood that the Belgium international has already passed a medical, leaving paperwork and final terms to iron out. Fellaini posted an Instagram photo of himself at an airport on Thursday, with the phrase “let’s go” written across it. Manchester City signed 18-year-old Hajduk Split midfielder Ante Palaversa for 7 million pounds on a 4-1/2 year deal before loaning him back to his parent club until 2020. Newcastle United have completed the permanent signing of forward Miguel Almiron from Major League Soccer champions Atlanta United for an undisclosed fee. British media reported that Newcastle had paid a club record fee of 21 million pounds for the Paraguay international, who has signed a 5-1/2 year deal. Spanish midfielder Denis Suarez has joined Arsenal from Barcelona on loan until the end of the current campaign, the Premier League club confirmed. “We’re happy that Denis Suarez is joining us. He is a player we know well and I have worked with him at Sevilla. He brings us quality and options in different attacking positions, so he’ll be able to help the team,” Arsenal manager Unai Emery said.